For wrestling fans, wrestling video games allowed us to take control of the action of our favorite wrestlers/promotions or create our own superstar and do things our way. WWE has been the leading standard in the past years of wrestling games thanks in part to 2K Games. 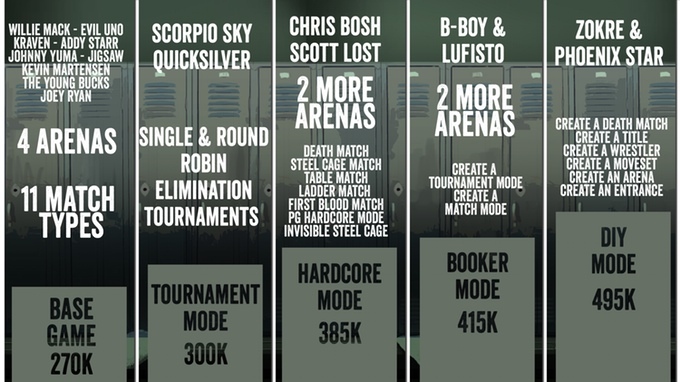 While WWE games had a robust roster, the create-a-wrestler mode is where a lot fans spent a lot of their time; creating wrestlers from the past or from the Independent wrestling scene to create dream match ups that may never take place. Saturday Knights is a wrestling game starring actual independent wrestlers, created for the fans, by wrestling fans. 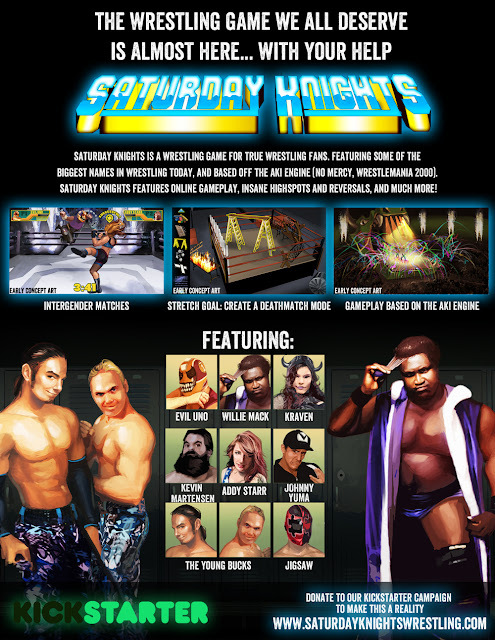 Heavily influenced by the AKI engine used in games like No Mercy and Wrestlemania 2000; controls and gameplay that were simple but deep but being built up in the Unity engine. The Unity game engine is a cross-platform game engine developed by Unity Technologies to develop video games for PC, consoles, mobile devices and websites. So far 10 wrestlers are confirmed for the game with 4 alternative outfits per wrestler. Bob Ramos is a Game Designer who has been involved with Independent Pro Wrestling for close to 15 years and has worked in companies like PWG, Inter Species Wrestling, AWS, and Freakshow Wrestling. Previous roles include Wrestler, Manager, commentator, Commissioner (Pro Wrestling Guerrilla), and an experienced voice actor.